Translation:Most of the oranges are small. There's a massive problem with the use of articles given that there is no context provided. The answers have to be flexible. This question is a classic example of problematic items on the Korean tree. There was no time spent on this course. Somebody just backward translated the Korean course or something. Its like a single english speaker was never even consulted for the answers. 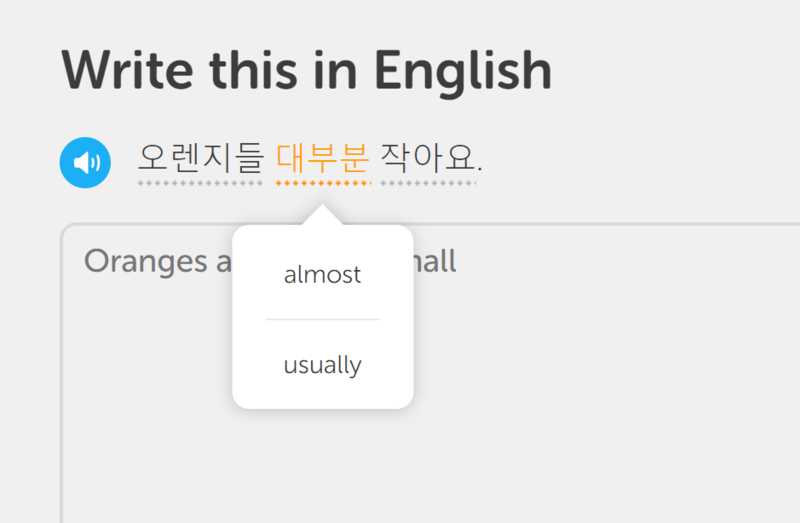 Yeah, Ive tried multiple courses with Duo. This is absolutely the worst one. Can we say "Oranges are mostly small"? "Most oranges are small" wasn't accepted. It should be "오렌지들은 대부분 작아요"
The oranges are almost small. The oranges are approximate small. Why not "oranges are usually small"?